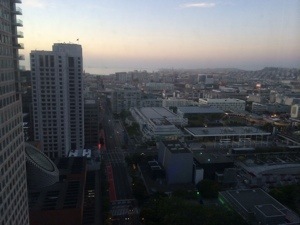 Of course, I’m up at the crack of dawn with the time change from being on the East Coast. But it gives me some of my favorite kind of time to do stuff. I love working early in the morning when the rest of the house is still quiet. Got my tea on. “Midsummer Night’s Dream” from David’s Tea. Mmm. 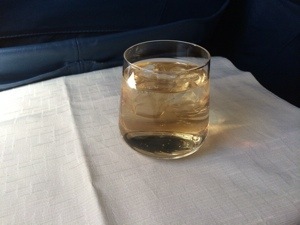 I had a great flight back from Pittsburgh. 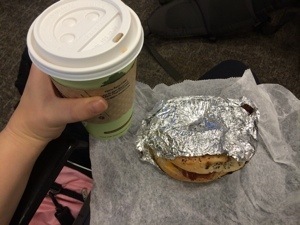 Up bright and early and grabbed a breakfast sandwich at the airport Fresh Choice kiosk, with quite possibly a cup of the world’s worst coffee. I maybe ate half of the sandwich, I just wasn’t that hungry. Oops, I just realized the other half is still sitting in my unpacked bag. I should probably go take care of that. 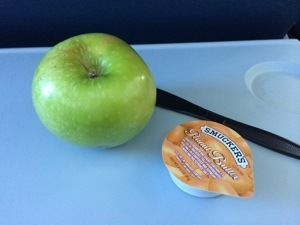 Mid-flight snack, an apple and peanut butter I swiped the other day from the hotel buffet. 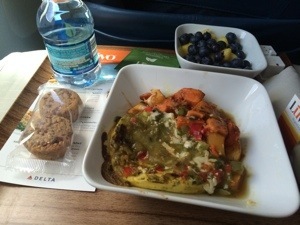 I didn’t get lunch over my layover, because I was upgraded to First Class and knew I would be served a free meal! Woot! I love status. 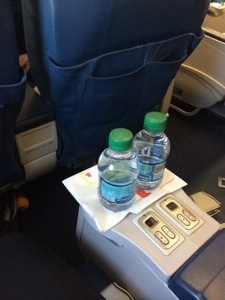 They give you mini water bottles instead of those flimsy plastic cups of water. And your drinks are served in real glassware! 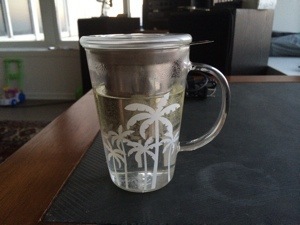 I had a ginger ale and a tea while waiting for breakfast. 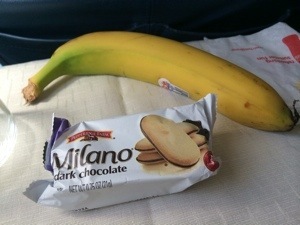 Breakfast took the flight attendants longer than expected to prepare, so they passed out snacks to hold us over until it was ready. Oh, those poor first class passengers had to wait for their food, how horrible! Finally breakfast was served! I chose the “Farmers Market Frittata” with mushrooms, goat cheese, mango has, poblano chiles, garden salsa, and sweet potatos! With a side of fresh fruit and a little power cookie thingy. OMG this thing was good. Anyway, there’s what happened on the way home. 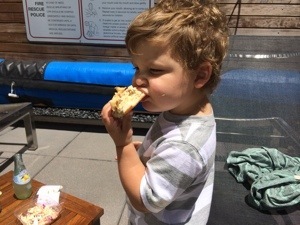 I got home for lunch, so the family grabbed some sandwiches next door and we enjoyed them picnic-style by the pool. Squish shared my tuna sandwich with me. 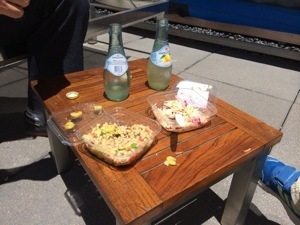 With salad and Pellegrino “lemonade,” as I told Squish what it was. Okay, now the morning’s task is to migrate over to “self-hosting!” I hope to see you later, if it is a success … eek! Such a cutie Squish! Also, happy to have you back in SF. 🙂 I honestly don’t get how you travel so much! My whole week turns upside down once I have to get on a plane and it takes me a while to get back to normal. 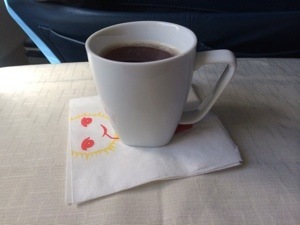 Traveling so much isn’t easy, but I’m getting sort of used to the routine. But it does take the whole weekend to recover from it!